Many thanks for the photos of the beautiful flowers - a really nice touch. Lorna was delighted with the orchids. I have 2 daughters living in Auckland so need a great florist for those special occasions especially as I live in Scotland. Red Roses are the traditional flower of love. In this stunning wreath they are arranged beautifully together with other seasonal red flowers, leaves and foliage to highlight the natural beauty of the Rose. Please note the red flowers may vary subject to seasonality. Truly a circle of Love. If you are looking for same day delivery - Please call us on 09 838 9058 to check what red flowers we have available. This remembrance tribute will be delivered On-Time to the funeral with your message tastefully displayed in a covered card holder. In New Zealand traditionally wreaths are sent direct to the funeral. 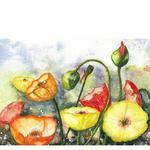 We can either send to the funeral directors or to the chapel where the funeral is being held. 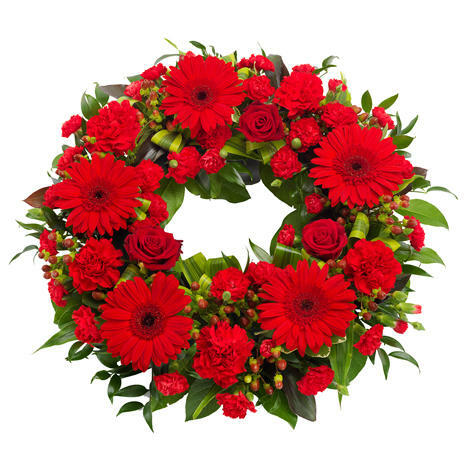 Funeral Wreaths are usually sent by family members, businesses, clubs or organisations as a more formal bereavement design to show their utmost respect and care of the deceased. An unbroken circle of remembrance. 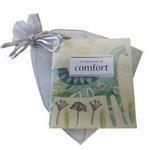 This sweet little book is filled with kind and caring messages designed to help in times of comfort. A lovely add on for times of stress and loss. Packaged in a sheer chiffon bag. Vintage style pressed white metal heart - charming add-on, giving them a sweet keepsake to remember your thoughtfulness.